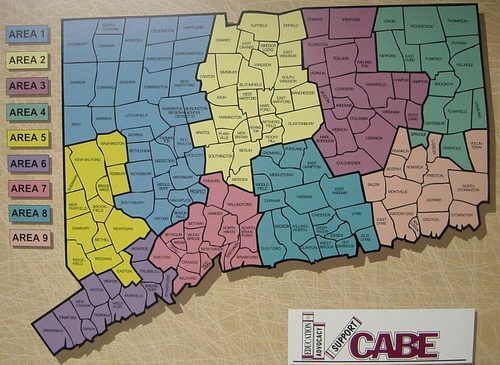 The Connecticut Association of Boards of Education (CABE) is dedicated to strengthening the work of school boards and superintendents. We believe that this "Leadership Team" is essential to the success of all school districts. When boards and superintendents work together efficiently and effectively, understanding each other's roles and responsibilities and those they share, as well as ensuring accountability for results, there is a much greater chance of increasing student achievement, which is the goal of all of our districts. CABE worked together with the Connecticut Association of Public School Superintendents (CAPSS) to develop state-of-the-art, comprehensive documents setting out these roles and responsibilities, as well as an accountability process and evaluation forms, which both organizations endorse. Both associations proudly present these two documents, the CABE/CAPSS Governance Position Statement and the CABE/CAPSS Success Strategies for Leadership Team Evaluation as "best practice" for school districts across Connecticut and the nation. We encourage boards and superintendents to examine the two documents and use them as appropriate in their districts. Over time, we will add more to the "Leadership" page of our website. For now, these two documents are the heart of our shared vision of effective leadership in our school districts.